I’ve used all manner of methods for storing campaign notes for games over the years, from tiddlywikis, to Obsidian Portal, to Bullet Journals, but when I need to jot down some notes quickly during a session I reach for a stack of my faith index cards. The cards are portable, easy to write on, can serve as bookmarks if you need them to and are just all round handy. Disclaimer: This post and the mechanics within are based around the rules for aging that appear in LotFP, I’ve not tested it with other OSR systems, but I believe it would work with some minor tweaking. This post talks about an alternative I’ve started using for level-draining creatures in my game and why I chose to do so. What’s the problem with level-drain? All the hard work of attaining levels can be removed with a few unlucky dice rolls. Depending on the creature it can slay even very touch PCs extremely quickly. It can create a party imbalance if only a few of the characters get level-drained. You could say that these things are what make level-draining creatures so scary, and that threatening the player’s precious XP and levels is sure to put the fear of God into them, and there is certainly an argument to be made in that regard, however for me I think that there’s already a threat to players XP and levels, it’s called death and occurs with enough regularity in a lot of OSR games that you don’t need a quick-acting, super death in the form of level-drainers. Certainly a valid viewpoint and I can understand how the easy available of resurrection would lessen the impact of level-drain, however to the best of my knowledge such magic is not commonly availabe in LotFP (although I understand that the commonality of it varies depending on the OSR system in question), regardless I tend not to allow it at all in my own games. Without delving into the subject–which could be a series of blog articles on it’s own–I believe it lessens risk and therefore sense of achievement when the PCs triumph. The exact amount of ‘aging’ that a PC gets from being hit by this version of Level Drain is a very good point, and i’ll admit that I’ve erred on the side of caution starting with 2D6 years, I am considering upping this to 5+2D10 years in future. So what can we replace it with? What does Level Drain represent? The D&D3.5 SRD describes level drain attacks as “sapping a living opponent’s vital energy”, the very name of the ability (sometimes also known as Energy Drain) paints a picture of a foul monster literally drained the vitality and life out of an opponent, reducing them to a withered lifeless husk. What is the purpose of Level Drain in game? 1. It frightens the players and places their characters in peril. 2. It ramps up the threat, circumventing the often lengthy process of whittling down HP. 3. It creates a vampiric feel to the creature they are attacking (especially since it’s often undead possessing this ability). This was a problem I faced recently when prepping for my Rose of Westhaven campaign (which is run using LotFP in the Midderlands setting), my PCs are exploring a large underground cavern system with a river flowing through it, attempting to locate the source of water pollution causing trouble for the Town of Blymouth (for those not in the know, the Middlerlands is a twisted, green-tinged version of the United Kingdom, I highly recommend you check it out here). As I was creating the dungeon I placed the undead remnants of an ancient Goman (the Midderlands thinly veiled version of Romans) battalion in there, lead by Caius Veridius a Wight. I’ve built up a small stock of OSR books now, so finding Wight stats wasn’t difficult, but they all seemed to involve Energy/Level Drain and–like I said earlier–I have a few issues with it, apart from that though I really like the creature and the concept of it. As I was leafing through my LotFP corebook looking for some inspiration, I stumbled across the aging system in Lamentations. The rules also specify that anyone aged by magical means has to make all Saving Throws that would have need to be made if the aging had occurred naturally immediately, with any ability score penalties also being applied immediately. This seems like a great way of representing Energy Drain to meet, what better way to represent the life-force being leeched out of you than by reducing a strong, burly warrior to a decrepit, aging husk in the space of a few moments. Not really having clear guidelines on how to pitch this I decided to have the Wight age a character by 2D6 years when they hit, in addition to the normal damage, although–in hindsight–since most characters tend to start in their prime and humans don’t even start making rolls until they hit 40, I may up this a little in the future. Another cool thing that came out of this during the session was that the players tried to bar a door against the Wight, and I decided that–since the Wight could age things–that it would use it’s abilities to rot the wooden door and pursue them, it also gave me some cool visuals for the lair with everything rusting and in a state of decay. One thing that a player brought up–and that I hadn’t considered–is what is the maxium age of the various species in the game, I couldn’t find any real guidelines for this in LotFP (save that Elves are immortal) so I searched around the internet and found maxium age figures on the 3.5SRD), which suggested the following. Elves Do not age and are effectively immortal. After watching the second session of TheRogueDM’s excellent Clockwork Opera steampunk D&D 5E game I noticed that Jenny had set up an Obsidian Portal page for the game (you can see that by clicking here), I remember using this campaign management website years ago but had never really got into it, I took a look and was please to see that it looked like a possible solution for my note/plot management concerns for my 3Brothers Campaign so I rolled up my sleeves and dived in. This was only my second experience of Dungeons & Dragons’ latest version, having played in a short game run by Rob Davis previously (a sort of deathtrap dungeon style setup where I played a Tiefling rogue), I enjoyed the one-shot game but it was a long while ago. When my Star Wars campaign had wrapped up (you can see the TPK laden details of that by clicking here) I decided that I was going to run something that was more traditional fantasy; a lot of the settings I had run recently (particularly with Fate) were whacky or bizarre settings that required a lot of interpretation and expansion to make work. You can’t really get more old-school fantasy than D&D so I blew the dust off my 5th Edition books and decided to give that ago, I’m sure wading into running a game with such minimal experience of a system isn’t the best way to go, but I figured that I’d revise the rules as much as possible, create a setting and that it’s probably be okay on the day as long as I had my prep notes. Mis-reading an enemies stats at one point leading to an attack missing when it should have hit. Not being entirely versed in the effects of different spells. I used tests with static difficulties to the exclusion of opposed checks. Following the initial session I’ve had a bit of time to reflect on what I think about the D&D 5E edition rules and it can be basically be boiled down like this. It seemed to me whilst running the game that it has a very strong core mechanic, I’ve always thought the roll D20 and add modifiers to beat a difficulty rating is a good solid way to work things, but in some other editions there has always been a lot more to remember or additional mechanics that I found a little counter-intuitive, this seems to have been smoothed out in fifth edition. Basically anything in the game (pretty much) can be handled by a test or a save both of which work in very similar ways, not having the greatest memory in the world I find it very useful, since once I’ve mastered the core mechanics I’m pretty much good to go aside from the odd exception. One of the things I’ve always liked about D&D is the notion of a disparate group of people coming together and forming an adventuring party, in most of the campaigns I’ve run recently we’ve had a session 0 where connections between the players were formed in advance and I went into the first actual session knowing how they’d come together as a party, confident in the fact that they’d have a reason for working together. Since we’re trying to go for more of a traditional fantasy theme with the 3Brothers Campaign and because my players were keen to get started with minimal delays (a very positive sign IMO) we jumped straight in, no session 0 or pre-defined reasons for working together; this of course meant I had to contrive a reason for them meeting, in this case I simply stated that they were all travelling on a traders wagon train towards the town of Battlebridge. I left the reasons for their travels up to them and the circumstances of their meeting with the wagon train vague, but having the leader of the trade caravan gave me an NPC to spur them to chat about backgrounds and their characters in game. Throwing them together seemed to work quite well, although I think some of this was down to the player’s willingness to band together as a party and pursue the plot threads that intrigued individual members, I don’t think this would work well with all groups of players. Compared to some RPGs that I have played where combat can really chew up your session time, the combat in 5E seemed very quick and fluid with me only really using a couple of screen-shared MSPaint maps to show the relative positioning of combatants. As we all get more used to the rules I’m sure that the combat will become even quicker, this was nice because, while I enjoy combat, I don’t like it to entirely dominate a session. During this game there was only really a single combat encounter (with some goblins who attacked the wagon train at the start of the session) so I just looked up the stats from the MM, however this wasn’t ideal, made my desk more cluttered and lead to me misreading a stat at one point of the game. Handly Mathew has sent me a copy of a monster encounter sheet where you can add the stats and have to hand during the game session, I’ve used such things before in Star Wars games so I definitely think something like this will be handy. I’m also thinking that these sheets could be used to store the stats of associated groups of creatures/NPCs (all the employees of Common Sword tavern for example). Right from the get go of the campaign I decided to try and keep things as close to the material present in the corebooks as possible, just applying a campaign world to support this; after running various odd supplements and games over the past few years it felt like a bit of a homecoming to run a D&D fantasy game again. The campaign world created seemed to work reasonably well and I’m hoping that 3brothers can be a long-running campaign. Building a campaign world is a lot of work, even if (like me) you cheat, using stuff like pre-created pantheons (I used a few of the classic ones listed in the corebooks) and all the standard options from the corebooks, you still have to create a history a believable cast of NPCs, locations and all manner of other stuff and then you have to run it with some sense of structure and internal consistency. I’ve recently been looking at a lot of the Raging Swan supplements which, although not specifically designed for 5th Edition, are full of random tables/idea generators, whilst I don’t think making a campaign based entirely on random choices would work I’ve decided to use as many of these idea generator products as possible to inspire me, give my ideas and generally make the work of creating and running the campaign as easy as possible. There were a few moments during the game where I had to stop the action and ask PCs what their spells were doing, or just push ahead and risk mistakenly applying incorrect effects, I think that this can be partially solved by encouraging my players to state the effects of their spells as a matter of course when casting them. For Example: I cast X spell and a ball of fire shoots from my hand doing Y hp of damage to a single target as it singes their flesh. I also intend to write myself a cheatsheet containing commonly used spells that the PCs have, this is more easy to do with the character that have a more set spell-list but I’m sure that I’ll work something out. I’m a massive fan of using index cards, they’re portable, easy to scribble on, they can be clipped together and are normally very easy to look at during a session, however, with the increased amount of information that I was attempting to reference during my D&D game (since I don’t have a commercially made setting to fall back on) I found myself with them spread all over my table, frantically at points trying to locate the correct card. I could of course buy a massive index box and file them alphabetically, however, once the simplicity of the cards stops being a major benefit I think that I may be better to fall back on electronic methods of storage. If I’m going to have my notes stored in electronic format then I need to be able to reference them and locate the appropriate text at a moment’s notice, currently my electronic notes consist of a Tiddlywiki stored in my dropbox that contains the basics of the my campaign world along with some GM only notes, I also have a copy of Johnn Four’s Campaign Logger on my computer. Over the next few days I’m planning to have a look at these pieces of software and see which one I think will work best for storing my session notes. We have a small gazeteer that I produced and a couple of Google Docs that are currently all stored on my Google Drive and accessible via the Facebook group that I set up for the group, however, this is a bit of a make-do/scrappy solution, it works but it definitely lacks elegance. I was watching TheRogueDM’s second session of her homebrewed steampunk D&D campaign recently and had a look through the material on their campaign stored on Obsidian Portal, a campaign management website that I registered on years ago but have barely looked at in the intervening time. It might be worth giving it another look to see if this is another possible way of getting material out to my player characters, especially since I what to make the work of Talamh my default fantasy setting for numerous campaigns in the future. Since my Skyless City Jadepunk campaign has now come to a close I wanted to make all of the notes I made and used within the campaign available to people to have a look at so you can see how I prepare a campaign and in-case there is anything of use for people in there. Please note: During the game some of my notes were stored on dropbox and some (such as the newletters, etc) were stored on my Google Drive; now the game has finished I have zipped these files and put the zip file on Google Drive, previous links to my Jadepunk files will no longer function. These notes are in the same state they were when the campaign finished, some were for plotlines never used or developed in a different way in play, but I hope you’ll still find them interesting. 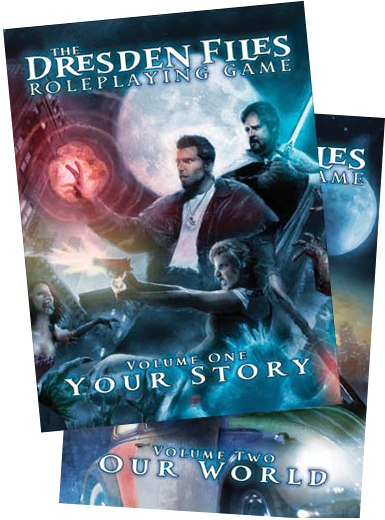 As you’ll probably be aware if you’ve read my recent posts, we wrapped up my Jadepunk Campaign a short time ago, Thashif has stepped up to fill the timeslot and is going to be running a Dresden Files game, alternating with my FFG Star Wars campaign. I’ve played a little bit of DF but not a great deal and have only just actually acquired the books and am avidly reading my way through them, it uses a version of Fate that is a pre-cursor to the Fate Core rulebooks. It is easy to see places where the game was streamlined and tweaked between this version of Fate and Fate Core.